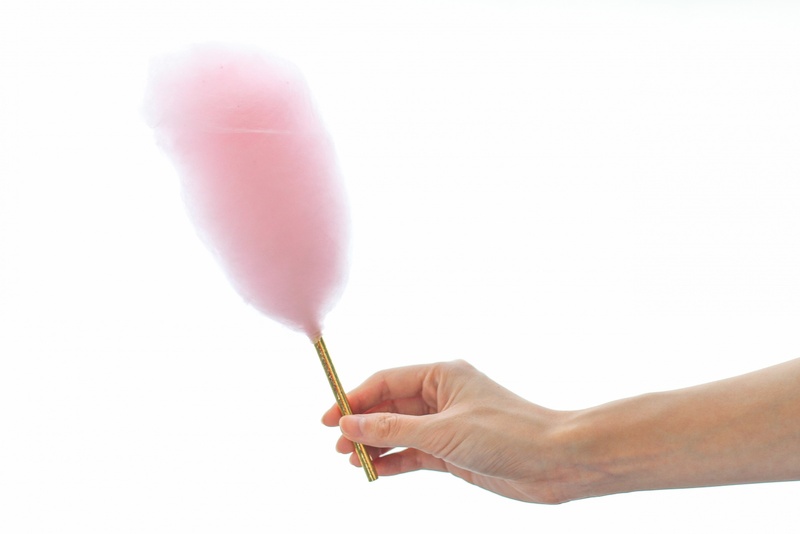 Just the sight of cotton candy gives us an instant dose of happiness. So, we couldn’t help but be a little (okay—VERY) excited when we purchased our own cotton candy machine! The first thing on our list to make with our most excellent purchase? This sweet glass of cotton candy champagne! Delicious, pretty, easy-to-make, and perfect for bridal showers, birthday parties, and every other special occasion. 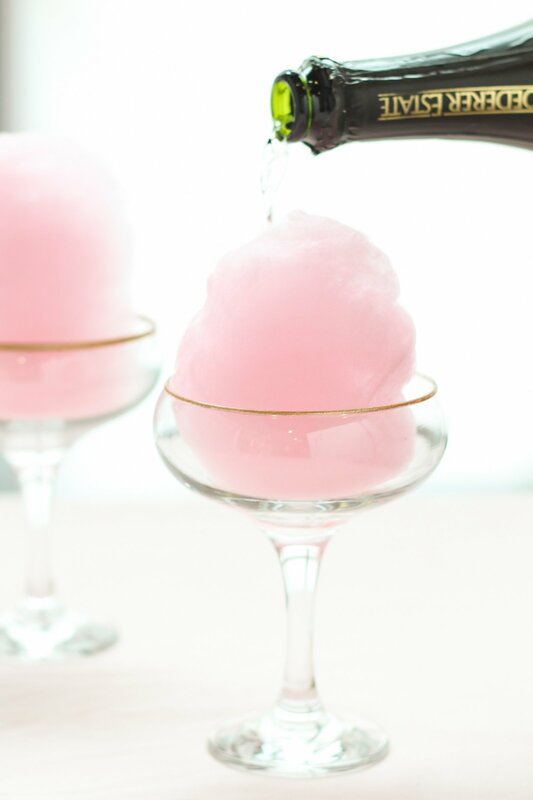 To create this fun cocktail, the first thing you need to do is get a hold on some of your favorite flavored cotton candy. (Cotton candy comes in many flavors and colors so feel free to try a few different options!) You can pick up some pre-made cotton candy, or make your own using a machine like we did. If you decide to take the DIY route, all you have to do is pour the sugar into the machine, let it heat, and watch the cotton candy appear! Once you start to see what almost looks like “webs” form in the machine, use a paper straw to spin your cotton candy. You’ll get a beautiful cloud of colored sugar in no time! Next, we used two plastic forks to gently remove the cloud of cotton candy off the straw, which helped make sure it stayed nice and fluffy while placing it in our drinkware. Isn’t it a gorgeous presentation? 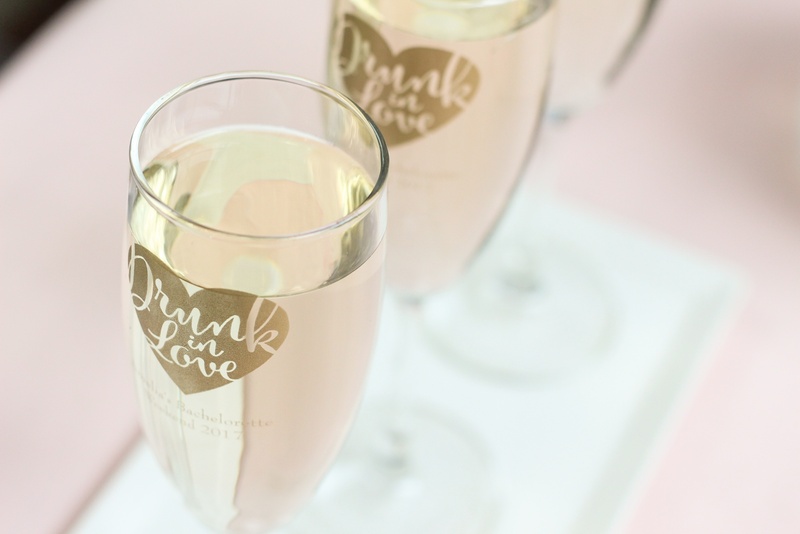 Now when you’re ready to sip on your cocktail, all you have to do is pour champagne over the top. 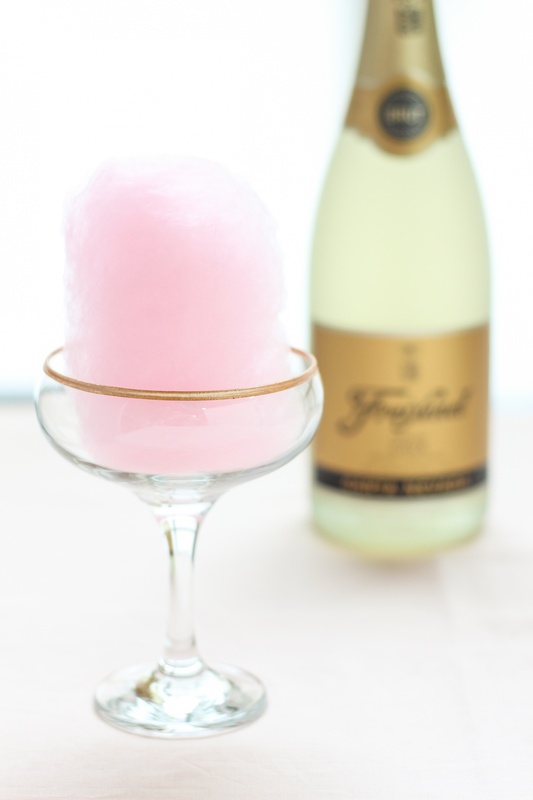 Your cotton candy will dissolve into the champagne, creating an extra sweet and sugary cocktail. Enjoy! What flavor cotton candy would you use for this fun cocktail? Are you planning to enjoy these at your next special event? 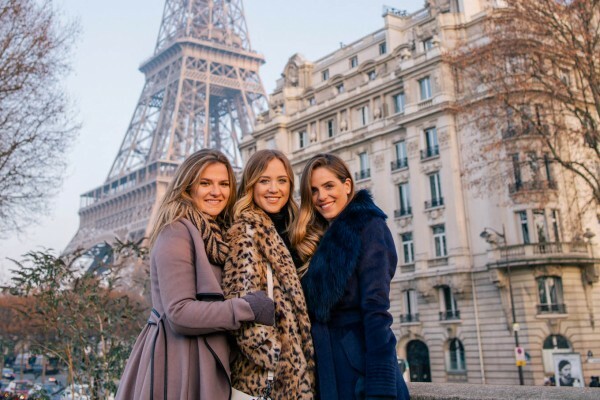 Please feel free to let us know what you think by leaving a comment below! 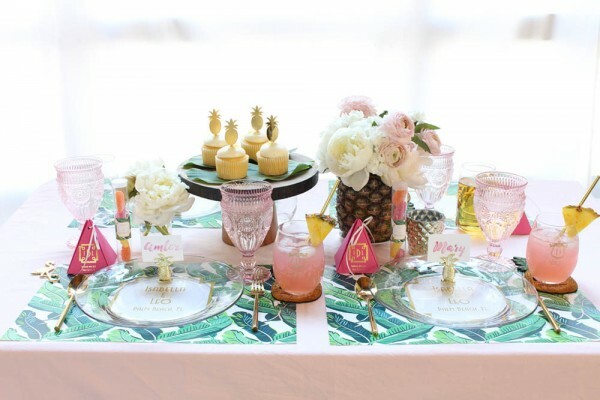 And don’t forget to check out our personalized drinkware, DIY gold rimmed glassware, and pink and gold bridal shower collection – Drunk in Love - to perfectly pair with this project. One last thing—don’t let any of that extra cotton candy go to waste! 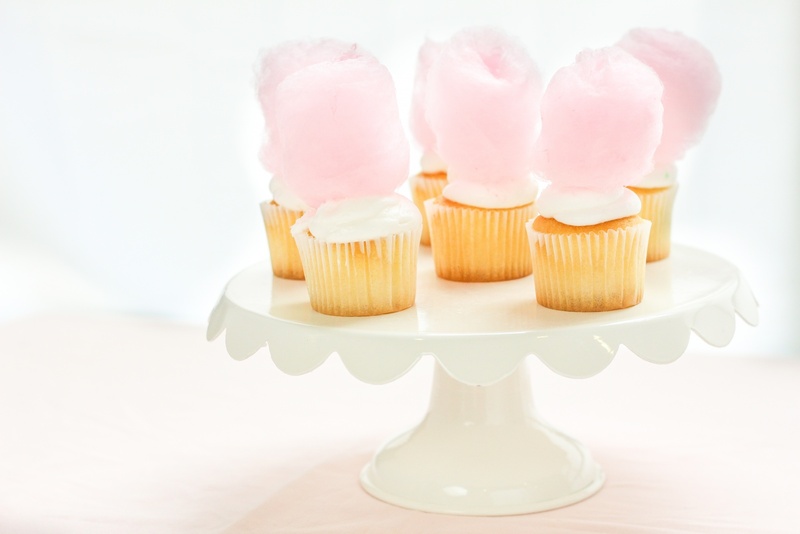 We got a little carried away ourselves with the cotton candy machine, so we decided to add the extras to cupcakes. Just follow all the same steps as above, but place on top of iced cupcakes instead of in drinkware. We used our plastic forks to gently push the cotton candy into the icing so that it would stay put. Now you have the perfect treat to go along with your cocktail!